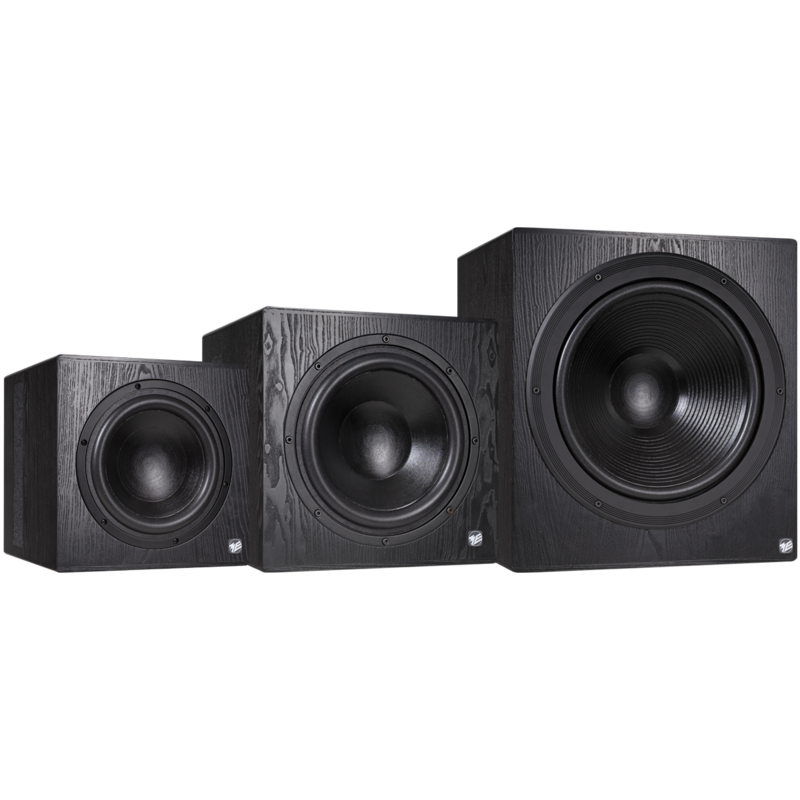 The active bass loudspeaker BASIS 13K serve as complement for the lower octave of our active studio monitors and as central bass unit in stereo reproduction. 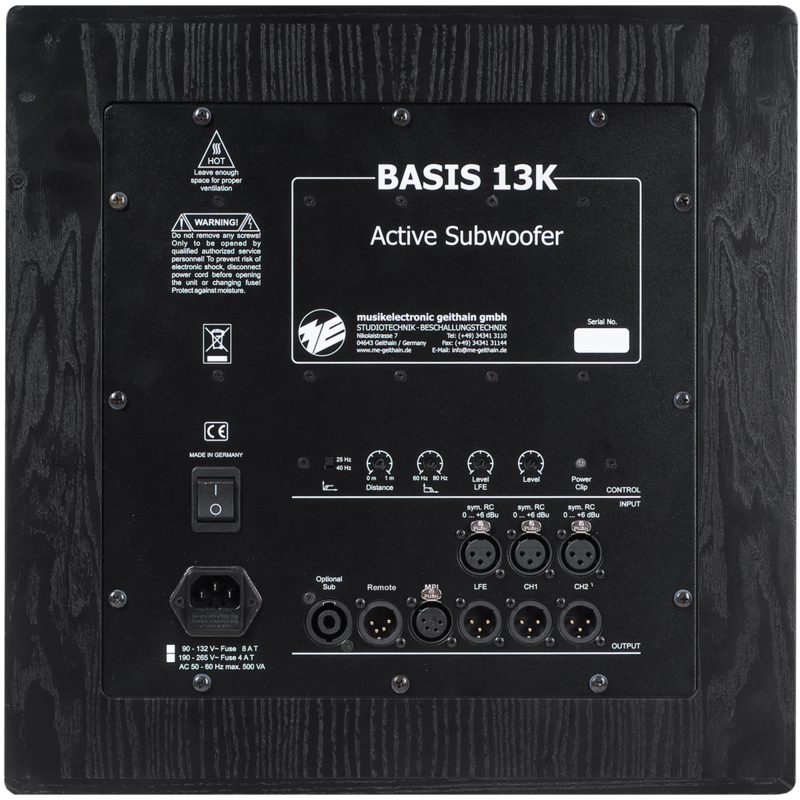 The active bass loudspeaker BASIS 13K serve as complement for the lower octave of our active studio monitors and as central bass unit in stereo reproduction. Optionally, the BASIS model can also be integrated into surround loudspeaker systems with our multi-channel bass processor BCU7.1. Furthermore, the subwoofer can be operated with suitable AV receivers to also allow optimal cooperation with our passive high-end loudspeakers. For our active bass loudspeaker, we have developed a special long-stroke bass system that ensure a low-distortion reproduction. The BASIS 13K have a cardioid radiation characteristic for minimisation of rearward room reflections. The so-called K Technology, which we already have been using successfully since many years in our 3-way and 4-way active loudspeakers, features rearward-directed attenuation greater than 10 dB. Thus, excellent results can be achieved for room-dependent frequency response even in rooms with difficult acoustic conditions. This construction principle significantly simplifies the positioning of the bass loudspeaker in the listening room. The power amplifier is operated with a 1000-W PWM power module. An electronic limiter serves as protective device and keeps the bass driver from overloading. An LED on the reverse side signalises activation of the protective device and operating status of the bass loudspeaker. The distance between front loudspeaker and bass loudspeaker may be between 0 and 1 m. In this range a phase correction is possible. 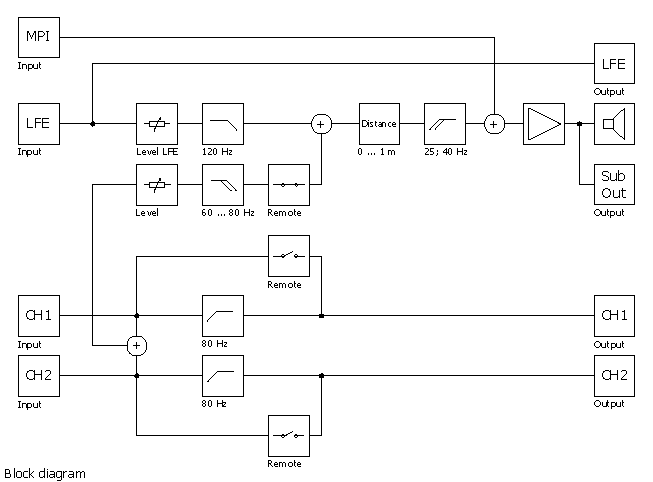 With an activatable high-pass filter, the threshold frequency can be raised to 40 Hz. The cut-off frequency can be adjusted continually between 60 and 80 Hz. The transmission range of the LFE channel ends at 120 Hz. The entire control and power electronics including all connecting and operating elements are integrated into the reverse side of the cabinet. The bass loudspeakers are optionally available with a grid cover. 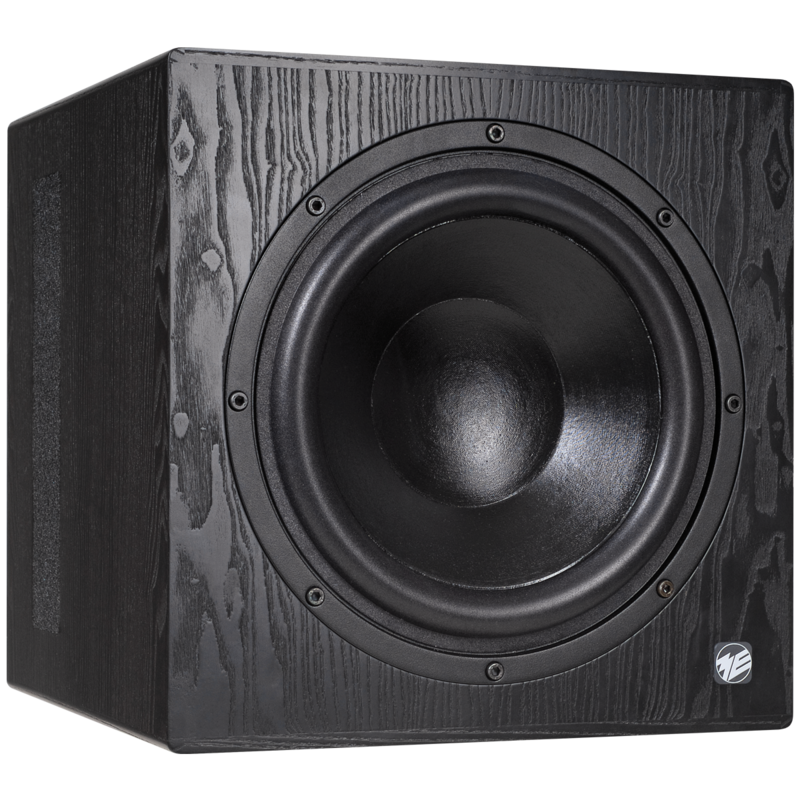 An output on the subwoofer allows the operation of the BASIS 13KP passive bass loudspeaker. This expansion provides a power doubling and makes the choice of the location less critical. Also, the system can be switched into bypass mode with the aid of a cable remote control. All output channels are directly connected to the input channels - the bass channel is deactivated, the LFE channel remains activated. TP 24 dB / Okt. HP 12 dB / Okt. We offer our loudspeakers in standard veneer ash black (RAL9005) or for an additional charge in different optional veneers respectively optional colours. This website provides an overview on the optional veneer and lacquer styles. We are pleased to check if your desired individual veneer and colour can be realised. Wood is a natural product. 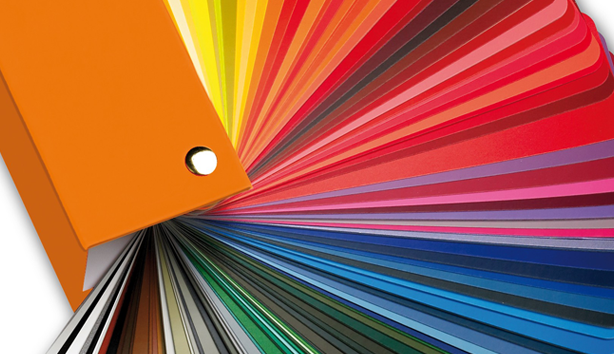 Even the most thorough manufacturing can result in deviations in colour or structure and is no cause for complaint. Images are represented differently on every screen and hence not colour-proof.